In this exciting musical adventure, Shirley Temple sings, dances and speaks fluent Chinese! She plays "Ching-Ching" a child whose guardians are killed in Shanghai, She seeks refuge in a car's open trunk, only to wake up and find the car on a ship bound for America! 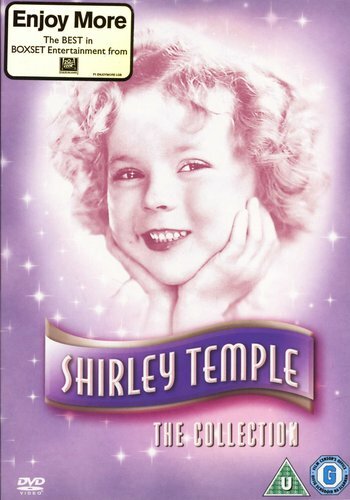 Shirley Temple stars in this movie version of the immortal classic. The story of a little girl who goes to live atop a mountain with an unwelcoming grandfather has been filmed again and again, but no-one has topped Shirley Temple's timeless evocation of the feisty little heroine. A classic tale that generation after generation will treasure. Shirley sings, dances and charms a Hew England fishing town, until her happy life is unexpectedly threatened. Happy living with "Captain January" ever since he rescued her from a shipwreck as a baby, but the town's truant officer is now determined to take her away from the lighthouse keeper and place her in an institution. A heart warming music-filled story that gives Shirley plenty of room to sing, dance and shine. She plays the daughter of a wealthy soap manufacturer who lands herself a starring role on a radio show owned by a rival soap company - without her father knowing anything about it... until he tunes in! Shirley will run away with your heart when she runs away from home in this story of a little girl who feels neglected by her parents. When the distance between her parents leads them to divorce, Holly leaves home, convinced that this will help things.